Happy 200th birthday to one of the great geniuses of the Western world. 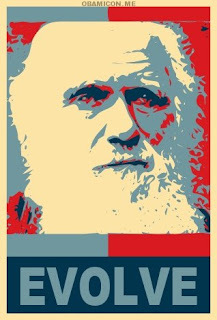 Charles Darwin's theory of evolution is the unifying theory of modern biology. Watch a fantastic video that shows how Darwin started finding evidence that organisms change over time.... that the species alive today came from earlier species which are now extinct.